At this time we no longer have entries available for any additional Rock n Roll Races. Please note that the date reflected above denotes the Chicago Rock N Roll Race only. 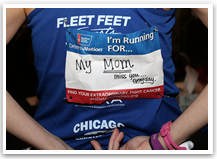 If you are participating in a race other than Chicago, it is recommended to change your personal fundraising page headline to show which race you are participating in. Arizona Half Marathon and 10k - Sunday, January 14, 2018 - Congratulations Jay Patel and Ashley Kardynalski! New Orleans Marathon - Sunday, March 4, 2018 - Congratulations Maddie Dixon! D.C. Half Marathon - Saturday, March 10, 2018 - Congratulations Morgan Andreas! 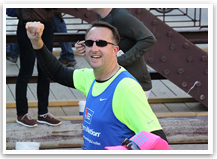 Dallas Marathon - Saturday, March 25, 2018 - Congrtulations Nathan Sokul! Raleigh Half Marathon - Saturday, April 7, 2018 - Congratulations Andrea Walens! Nashville Marathon - Saturday, April 28, 2018- Congratulations Naleta Hurt, Andrea Starinsky, and Elizabeth Bennett! San Diego Marathon - Sunday, June 2, 2018 - Congratulations Renee Williams and Robert Foster! Seattle Marathon - Sunday, June 10, 2018 - Congratulations Kim Miska and Jenny Ypil! 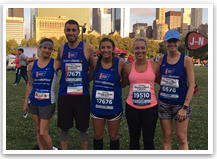 Chicago Half Marathon - Sunday, July 22, 2018 - Congratulations Michael Gilmartin, Fran Wahrman, Michelle Kiese, and Jenna Leinwohl! San Jose Half Marathon - Sunday, Oct 7, 2018 - Congratulations Amy Green! Savannah Marathon - Sunday, Nov 4, 2018 - Congratulations Justin Voghel and Lisa Pierce! Las Vegas Half Marathon - Saturday, Nov 10, 2018 - Congratulations John Warnes, Stephanie Petersen, and Martin Hanehan! New Orleans Half Marathon - Sunday, Feb 19, 2019 - Congratulations James Ziino, David Mullen, and Allen Thompson! When you join our team you have the option of paying your own race entry or having one included with your fundraising efforts. If you choose to pay your own race entry, please visit the Rock 'n Roll Half Marathon website to complete your race registration. Once you have joined our team (by clicking "sign up to participate") we will contact you the next business day to go over any fundraising, training or running questions you have.